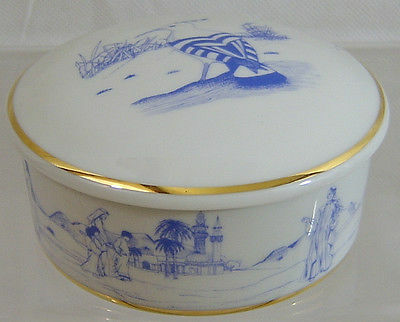 A beautiful Arturia Limoges Porcelain Trinket Box presented by Emirates to certain guests. 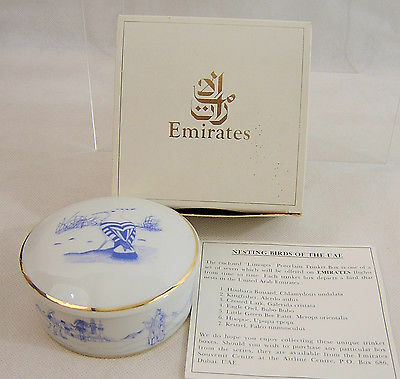 These Trinket Boxes formed a series of 7, each one showing a different Nesting Bird to be found in the United Arab Emirates. This one depicts the Hoopoe (Upupa epops) and is number 6 in their series. 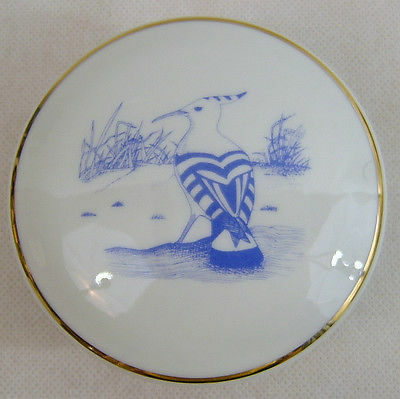 Each box is manufactured in France from high quality porcelain and is handpainted showing the Hoopoe on the Lid with a frieze around the side. Set on a cream ground the colouring is in delicate shades of blue, beautifully decorated to the highest standard, as perhpas only Limoges can do. The Box has a diamter of 3.5 inches (9cms) and a height of just under 2 inches (5 cms). 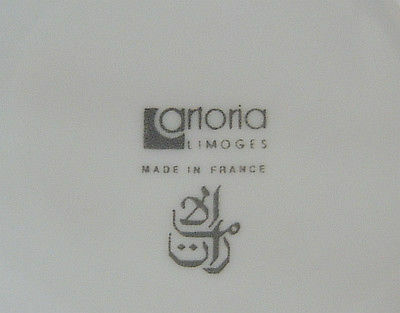 There is the official Limoges backstamp undernath. The Trinket Box comes with its own box and a certificate. Except for photography, this item has not been out of the box.